As we wind down the end of the summer months and make our way into the fall and winter seasons, it is important to remember that the Big Show Series is right around the corner. Starting in November and running through the end of March, there will be nine outstanding performances to look forward to during the 2017-2018 Big Show Series at the Villages of Citrus Hills. As with all of the outstanding Big Show Series performances, these events will take place in the Activity Center Auditorium with show times at 6 pm and 8:15 pm on the night of each show! Make sure that you get your tickets well in advance because the acts that are coming to visit the Villages of Citrus Hills this year are surely going to pack the house! Let's take a quick look at each of the nine performances that will comprise the 2017-2018 Big Show Series. Eagles fans will not want to miss their chance to see this outstanding tribute band on Tuesday, November 14. They are based in Nashville, Tennessee, but will be making the trip down to Florida to perform classic Eagles hits like "Heartache Tonight," "Life in the Fast Lane," and "Hotel California." Another popular tribute band that will be performing at the Villages of Citrus Hills this year is a take on the country music and southern rock supergroup known as The Highwaymen that originally included Willie Nelson, Waylon Jennings, Johnny Cash, and Kris Kristofferson. This version of the band features individual tributes to Willie, Waylon, and Johnny that will have you singing their southern classics all night long on Thursday, November 30. 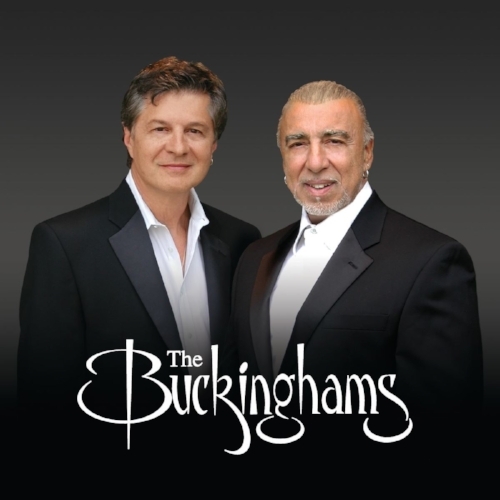 Formed all the way back in 1966, The Buckinghams have seen just about everything the music business has to offer through six different decades. Original founding members Carl Giammarese and Nick Fortuna are still delivering passionate performances around the country, and they will be performing their hits like "Kind of a Drag" and "Don't You Care" at the Activity Center Auditorium on Thursday, December 14. On Thursday, January 11, true rock and roll fans at the Villages of Citrus Hills will be delighted by one of the most authentic tribute bands touring today, Hollywood Nights. Featuring Rick Murphy as Bob Seger and backed by his own version of The Silver Bullet Band, this performance will be filled with all of the classic Bob Seger hits. After the legendary country band Alabama retired from rocking arenas around the country, lead guitar Jeff Cook decided to continue his career performing with The Allstar Goodtime Band. On Thursday, January 25, they will be bringing their edgy mix of country, rock, and soul to the Villages of Citrus Hills. Lou Christie is another musician who has been making hits since the 1960s. He is still performing around the country and will be coming to Citrus Hills on Thursday, February 8. In addition to watching Lou perform some of his classic hits like "Lightnin' Strikes," "Two Faces Have I," and "I'm Gonna Make You Mine," this event will also feature an opening performance from Rocky and the Rollers. Famous for hits like "Midnight Confessions," "Let's Live for Today," and "Sooner or Later," The Grass Roots is another legendary band that has been making music for the past six decades. They will be performing at the Activity Center Auditorium on Thursday, February 22. On Thursday, March 8 we will be hosting The Flamingos featuring Terry Johnson. This hall of fame doo-wop group is originally from Chicago, and they are responsible for hits like "I Only Have Eyes for You," "Lovers Never Say Goodbye," and "Rio Amore." This unique combination of oldies and rock and roll will take the stage in the Activity Center Auditorium on Thursday, March 22 and delight the audience with performances of a wide range of hits from "Poetry in Motion" to "Sugar, Sugar." There will also be an opening performance from Rocky and the Rollers!